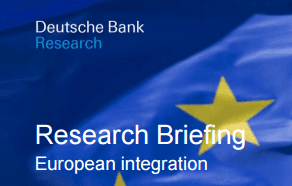 A new Deutsche Bank Research Briefing reviews and analyses the effects of EU free movement, paying particular attention to social security and concerns about “benefit tourism”. Deutsche Bank drew upon ECAS’ earlier work in its report, referencing ECAS’ recent publication “Fiscal Impact of EU Migrants in Austria, Germany, the Netherlands and the UK“, and drawing upon and agreeing with the main finding that EU immigrants have a positive impact on the finances of these countries. “alternative rules for access for access to social benefits that do not inappropriately hamper the free movement of citizens within the EU“. Read the full research briefing: Debate on free movement – Does the EU need new rules on social security co-ordination?